I have an addiction problem. I think I've shared this before. I feel the need to collect it. It's seriously kind of insane. Lately I've become addicted to rainbows. Maybe it had to do with the Double Half Rainbow I saw this summer. and I thought I'd share it with you. And look at all the rainbow goodness we've had our our house over the last year. Do you have anything I've missed?? wow-- that is an impressive rainbow post! love it! Im lovin rainbows lately too! And thanks for including my wreath! Thanks so much for putting all of these together! 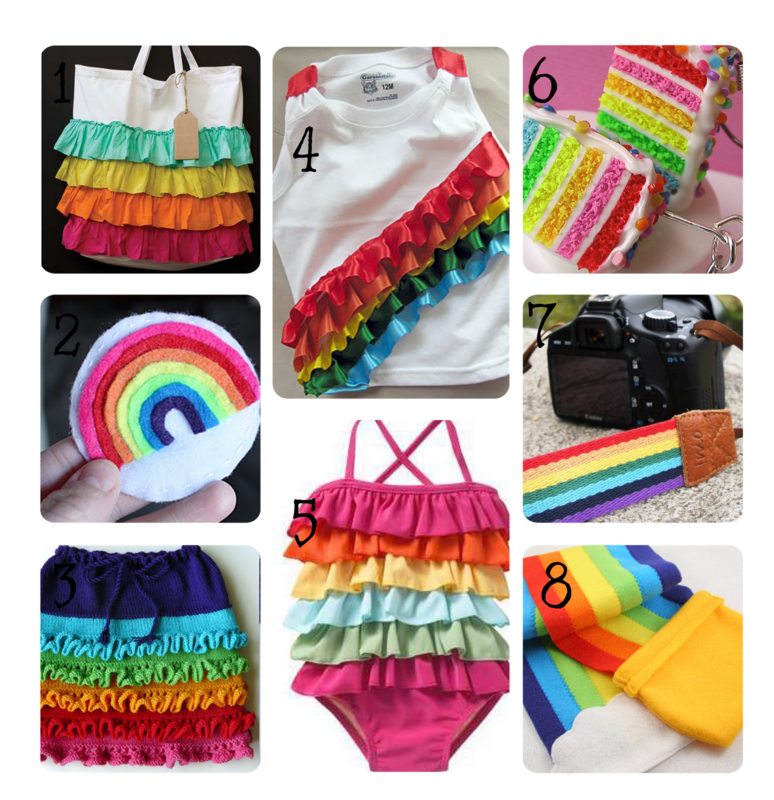 I'm lobbying for my daughter to choose a rainbow party next year, and this ammo will definitely come in handy! 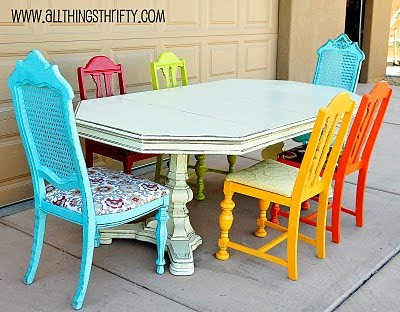 And ZOMG that kitchen table with the rainbow chairs! 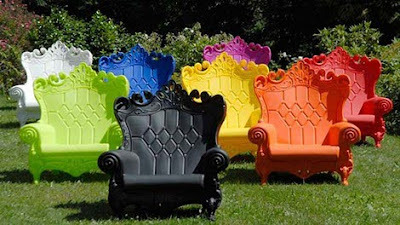 I must have that! It WILL happen! That is one lovely rainbow collection! Thank you so much for including my pot o' gold candy cups. Ooooo, I want to post all of these to my desktop to look at on rainy days! I justify my rainbow addiction to my OCD. Everything has to be complete, and rainbows are! Thanks for compiling all of these. They just make me so happy just to look at! You are so stinkin fun Kyla! That is quite the collection. I love it all. ohhh that jello..I will be making that for sure!!!!!! Thanks for sharing my banner! Love all the other finds too!! Wow! What a great list!! 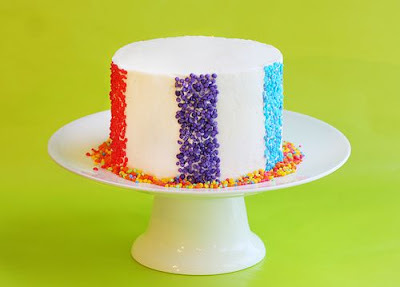 Thanks for featuring my cake. You are awesome!!! Thanks so much for including me! You have an awesome line up here! Oooh!! 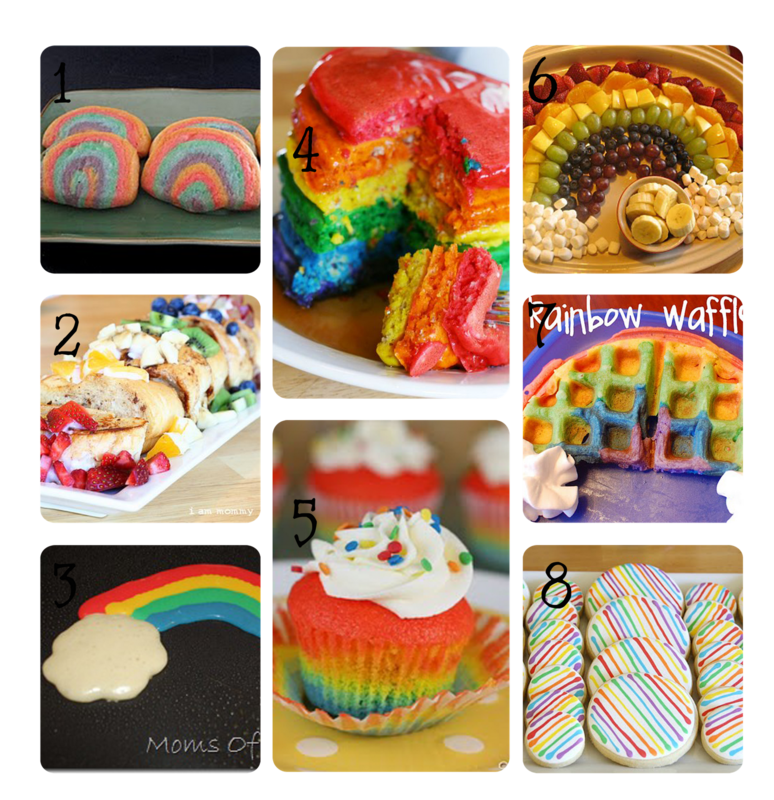 I adore rainbows!! LOVE LOVE LOVE this roundup (and thanks for linkin me up.. what an honor!:). I'm also your newest follower! yay! Guess I'd better finish that pillow soon. Oh my, what an amazing round up!! I'll take one of each, please. ;) Thanks for including my Color Wheel Deluxe cake earrings! Hi there! What an awesome collection! Thanks so much for the feature!! There is a youtube video of a guy talking about seeing a double rainbow. It is really funny! His mind is completely blown by the fact that he has seen a double rainbow. You should check it out. Thanks for the feature, Kyla! I loved seeing all that rainbow goodness! How funny that you posted this addiction. 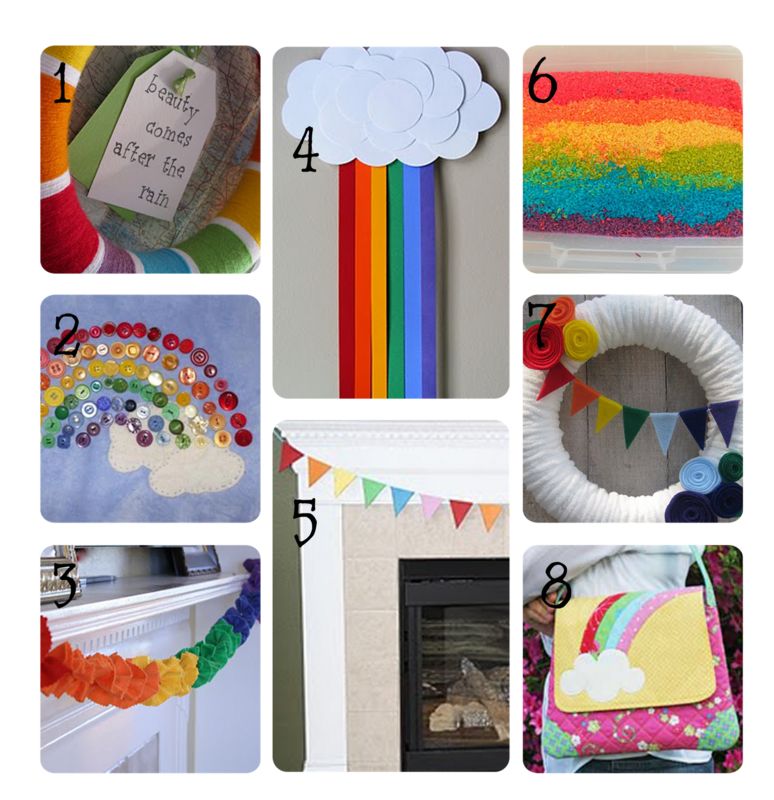 I have been searching the internet high and low for Rainbow items to feature at Suttons 1st birthday. 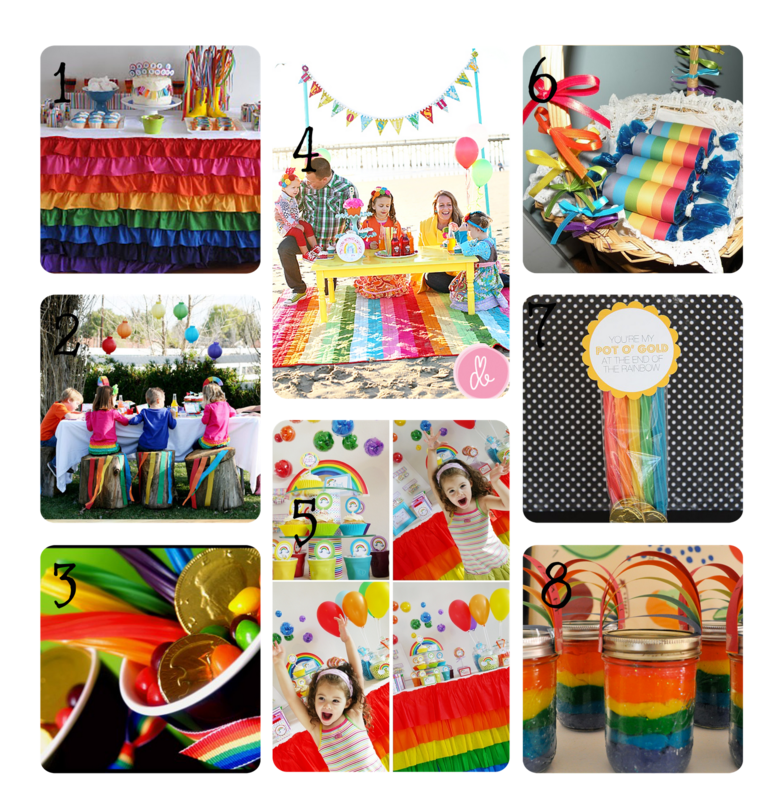 It is gonna be a rainbow theme party. LOVE IT!!! Wow! That is quite the round up. How beautiful are these projects?! I'm happy to be included. Thanks! 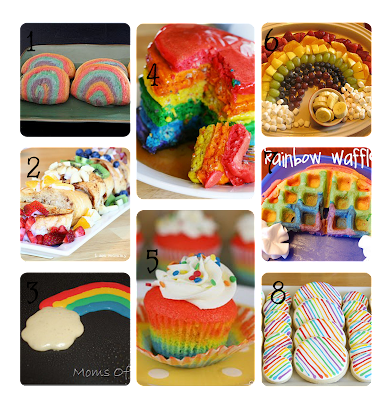 That has to be the best round up of rainbows I have ever seen! Thank you so much for including my cookies, now I'm off to check out all of these! Oh my gosh, I absolutely LOVE all of the rainbows you've collected. Such great ideas! What a fun roundup! So many good things to see. Glad to be a part of this colorful group. Thanks! me too! love rainbows... it all started with mrs. grossman stickers in the '80's and I've never gotten over it! not sure if my comment went through-- but i love rainbows too! Thank you so much for adding my Rainbow party in this awesome list!! So gorgeous! Love love love rainbows. Thanks for featuring my Arwen Rainbow Ruffle Skirt. i love those rainbow palette cupcakes. i just made a rainbow mobile a few weeks ago. 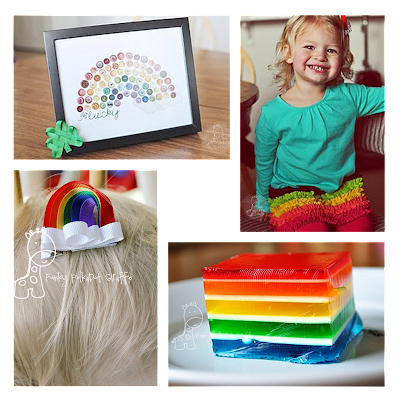 Thank you for sharing your rainbow faves! I love them all! So much rainbow awesomeness!! 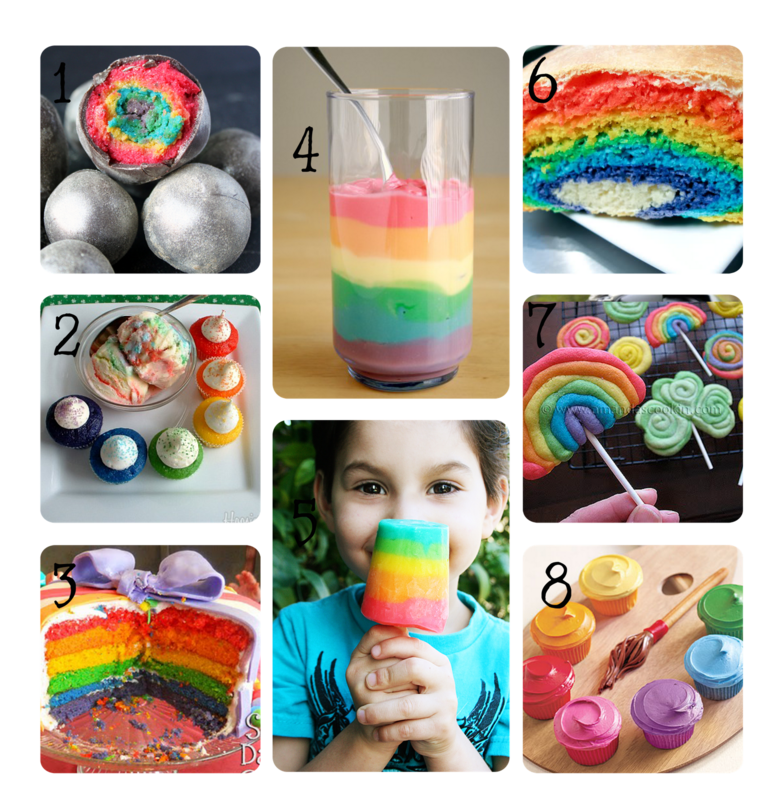 I love those rainbow cake balls! Andy your rainbow hairbow is adorable. WOW! I didn't know another MEGA rainbow aficionado existed! I've loved rainbows since I'm 8 (maybe before, I can't remember that far back now). 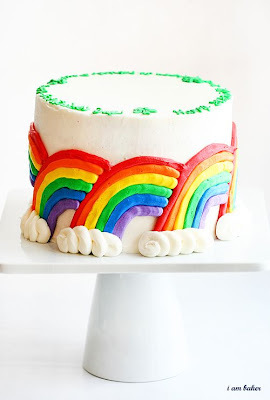 My hubby and sweet daughter baked me a rainbow cake two birthdays in a row. Recent current events had me blue so I made rainbow cucpakes with rainbow tie-dye frosting last Friday and delivered around to friends. Thanks for all of these incredible links! This truly made my day and week. This is the best rainbow roundup on the web. Okay, so I am in LOVE with your blog. I am having a noah's ark themed party for my boy girl twins. 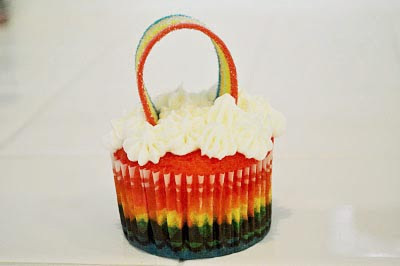 I am trying to incorporate the rainbow as a theme. WOW! THANK YOU FOR THIS!!!!!! I am stealing MANY of these ideas.